Walkern Bury castle is what is known as a ringwork (see below), probably built by Hamo St Clare in the civil war known as `The Anarchy’ during the reign of King Stephen (1135-1154). 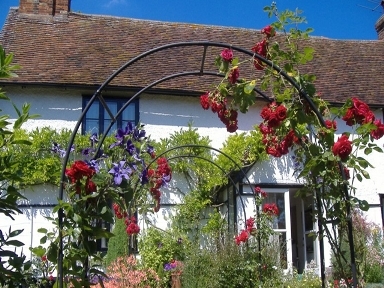 Hamo St Clare, whose manor at Walkern was central to the St Clare barony in Hertfordshire, was a follower of the treacherous Geofrey de Mandeville, 1st Earl of Essex and one of the major participants in The Anarchy. 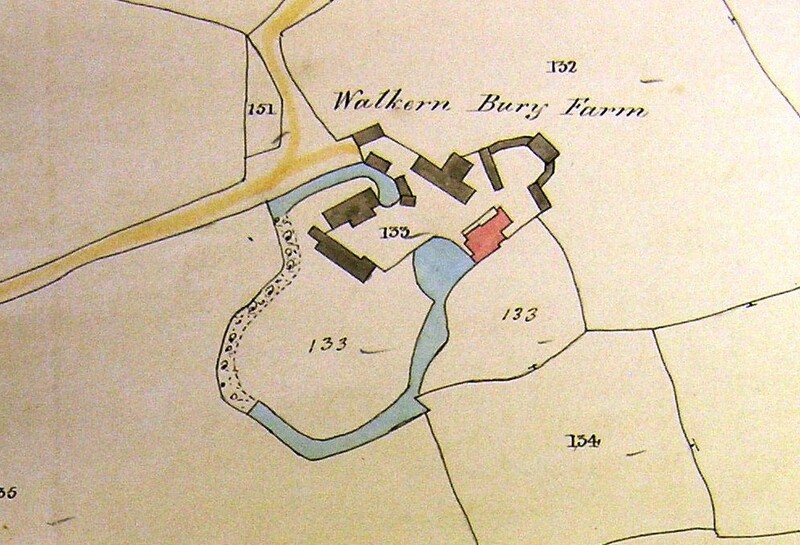 Walkern Bury ringwork seems to have formed part of a group of unlicensed (adulterine) castles constructed on the eastern side of Hertfordshire, including Anstey, Pirton, Great Wymondley and Therfield. They were constructed for the protection of manorial property during this turbulent period, and as with the majority of unlicensed castles, it was probably abandoned in the latter part of the 12th century as order was restored under Henry II. Walkern Bury castle sits on a small spur on the north side of Bassus Green. It is comprised of an oval ditch and inner bank, perhaps originally surmounted by a timber palisade, enclosing a natural knoll and measures approximately 130m north to south by 100m east to west across the interior. The original access to the interior is believed to have been provided by a narrow causeway which spans the ditch at the most southerly point, and corresponds to a gap in the internal bank. Ringwork castles were the earliest form of medieval fortifications built and occupied from the late Anglo-Saxon period to the later 12th century. They were small defended areas containing buildings which were surrounded by a substantial ditch and a bank surmounted by a timber palisade, or sometimes a stone wall. Occasionally a more lightly defended embanked enclosure, the bailey, adjoined the ringwork. Ringworks are rare nationally with only 200 recorded examples and less than 60 with baileys. 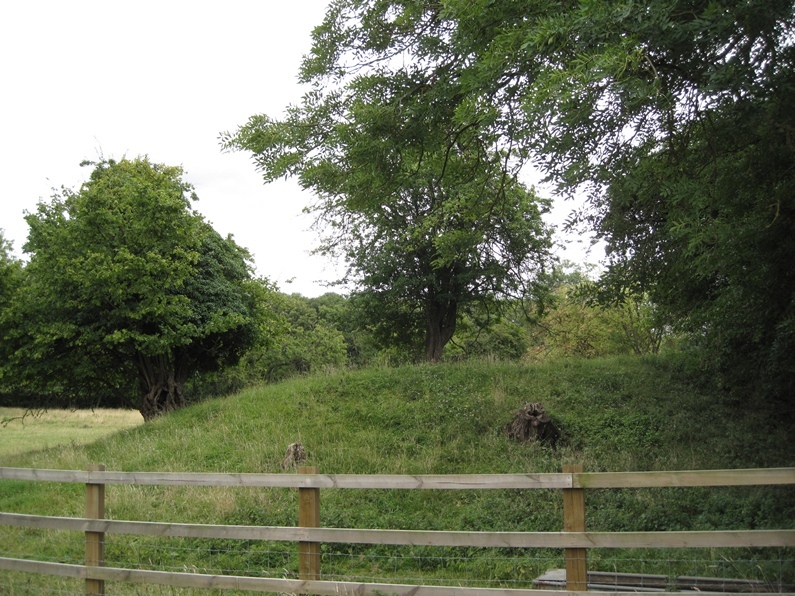 As such, and as one of a limited number and very restricted range of Anglo-Saxon and Norman fortifications, ringworks are of particular significance to our understanding of the period.Walkern Bury ringwork is well preserved and is thought to retain valuable archaeological evidence relating to its construction and occupation. Is there public access to Walkern Castle? From maps I’ve seen it looks like there isn’t. The remains of the castle – earthworks and a dry moat – are on private property belonging to Walkernbury farm, so I’m afraid there isn’t any public access.